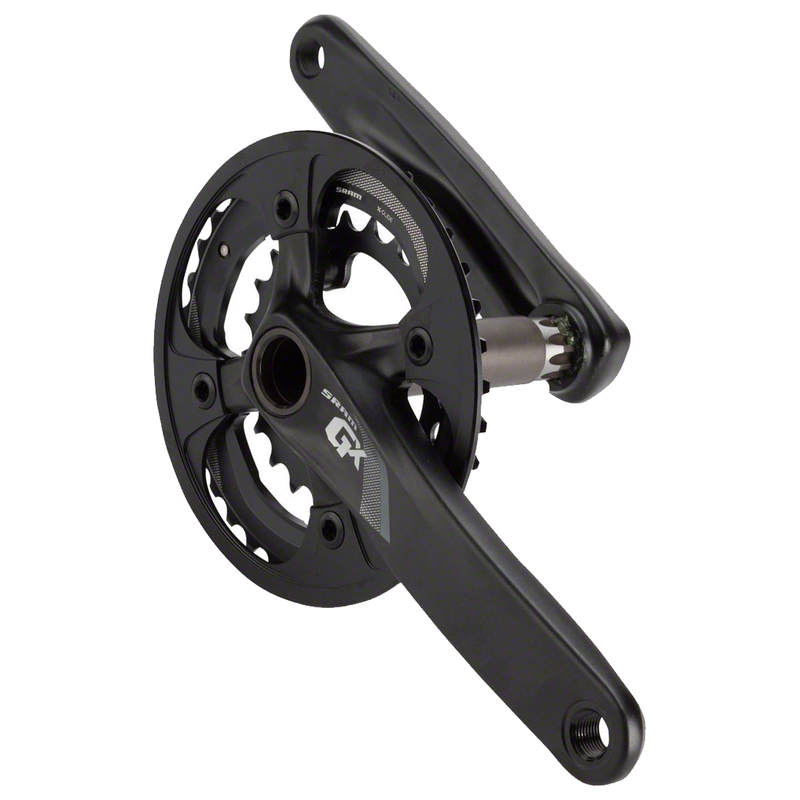 The SRAM GX 2x crankset delivers consistent performance every time out. Featuring SRAM's X-GLIDE chainrings, the GX crankset is engineered for 2x shifting performance. Flawless shifting means you'll never again compromise your speed and power in unpredictable off-road terrain. No more missed shifts, ever. X-GLIDE puts you in the right gear, right now. I replaced a 3x with this GXP 2X( 24-38). It went on really easily and I got right back on the trails. It came with a bash guard I wasn't expecting but am happy to have after 4 rides out on trails with random rock gardens. Great experience buying from Jensen. What is the spindle length? I am hoping to swap this crank with my Rival crank which is on my cx bike. It currently has a press fit BB. I am hearing the Rival shaft is shorter than mtb spindle shafts. What is the bcd? Can I use a 104bcd single chain ring until I can buy a 1x crankset? Will this fit my trek x-caliber 4? BEST ANSWER: I believe it will. I am not familiar with your bike so I googled it and it looks like a standard bottom bracket width.